Bring the weekend to the workplace. No, don't drag in a cooler full of beer and your collection of Sylvester Stallone flicks. But you can take off-the-clock comfort to the job with this Wrangler Riggs Men's Charcoal Grey 3W750 CH Long Sleeve Henley Shirt. This ... (see full details) (see specifications) #WRG3W750CH. Bring the weekend to the workplace. No, don't drag in a cooler full of beer and your collection of Sylvester Stallone flicks. But you can take off-the-clock comfort to the job with this Wrangler Riggs Men's Charcoal Grey 3W750 CH Long Sleeve Henley Shirt. This classic Henley design is loaded with comfort features. A taped neck seam and vented and taped side seams give you ease of movement. The tagless label adds even more comfort by eliminating the scratchy intrusion of a tag. Made with a 7-ounce jersey in a blend of 90% ringspun cotton and 10% polyester, the charcoal grey shirt is super soft. Triple needle stitching makes this Wrangler shirt extra durable. A left chest pocket and hidden utility loop add convenience to this versatile shirt. The classic henley design features a two-button front and long sleeves. If you're going to work a long day you may as well be comfortable doing it. Gear up with the roomy support of this Wrangler Riggs Men's Charcoal Grey 3W750 CH Long Sleeve Henley Shirt. These shirts wear great and are very comfortable. Price is better than Carhartt. 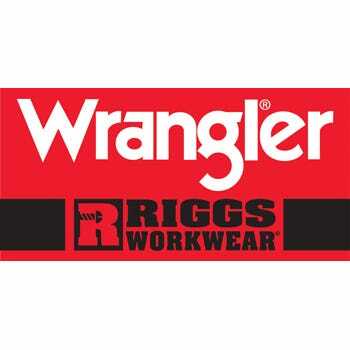 All Riggs products that I have purchased fit great and are reasonably priced...Working Person.com seems to have the best prices all the time. I am very impressed with these shirts, the material is a lot thicker than I thought so they will be perfect work shirts for my son. We live in New Hampshire so a little extra warmth without it being too much is perfect. I thought the sale price and my promo code discount was a really good deal so I didn't expect to get such a quality shirt. My husband works outside in the winter. This shirt is the perfect weight for winter. He is a mason and works outside during the winter in Colorado. He wears this shirt over a short sleeve tee shirt. He then wears overalls over both shirts. This shirt is a nice heavy material, stands up very well to dirt and washing. The shirt is convenient for layering. The three top buttons help to remove it as the day gets warmer. A good quality shirt, at a good price. Wrangler Riggs Shirts: Men's Charcoal Grey 3W750 CH Long Sleeve Henley Shirt is being added to your cart.